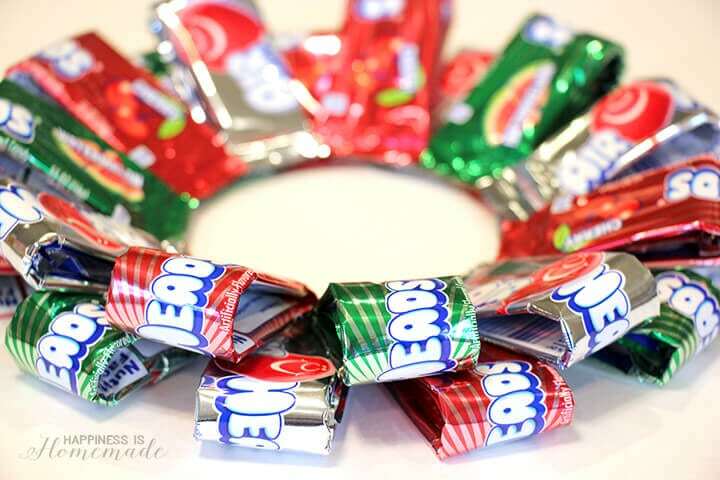 This Airheads Christmas candy wreath is a quick & easy holiday decoration or super sweet gift idea (especially for those hard-to-shop-for teens and tweens!)! The holidays are just around the corner, and I started creating the first of many Christmas crafts this past weekend. 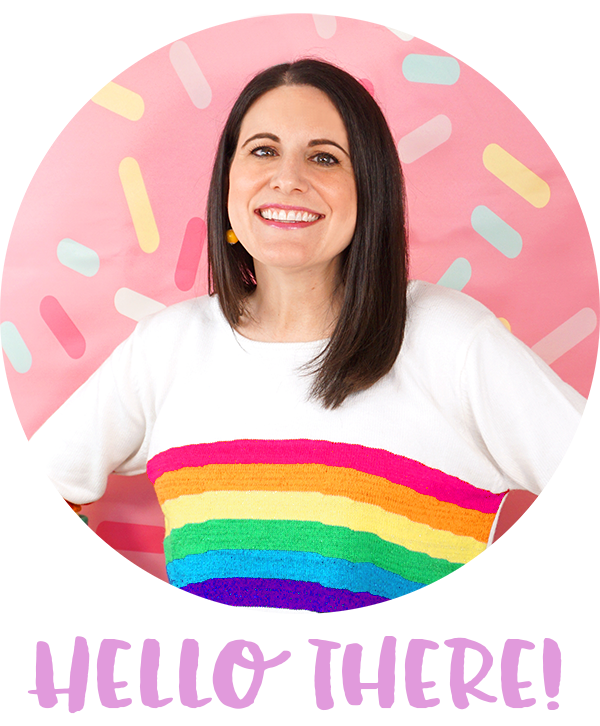 I whipped up this fun Airheads wreath in under half an hour, and it was a HUGE hit with my boys! 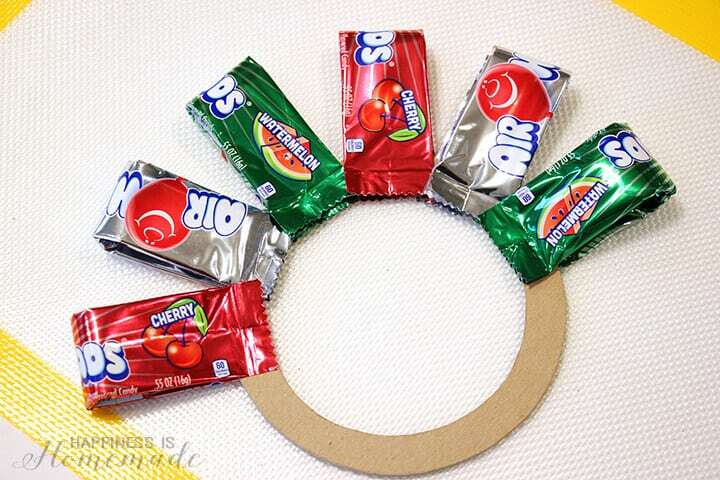 Start by creating a miniature wreath shape from the scrap of cardboard. I traced around a DVD to create my outer circle, and then traced a small bowl for the inner ring. 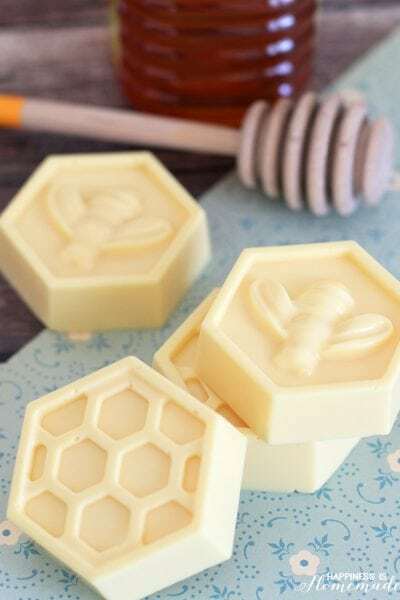 Use the Xacto knife to cut out the cardboard wreath ring. 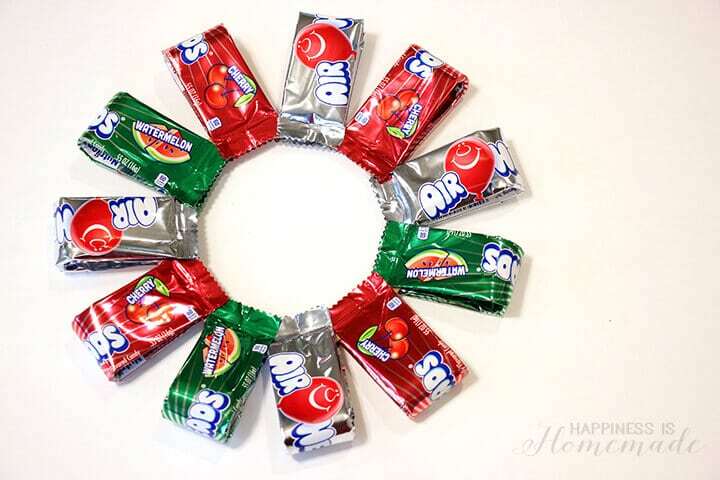 Fold each of the Airheads packages in half, and use the hot glue gun to attach the candy to the wreath form. 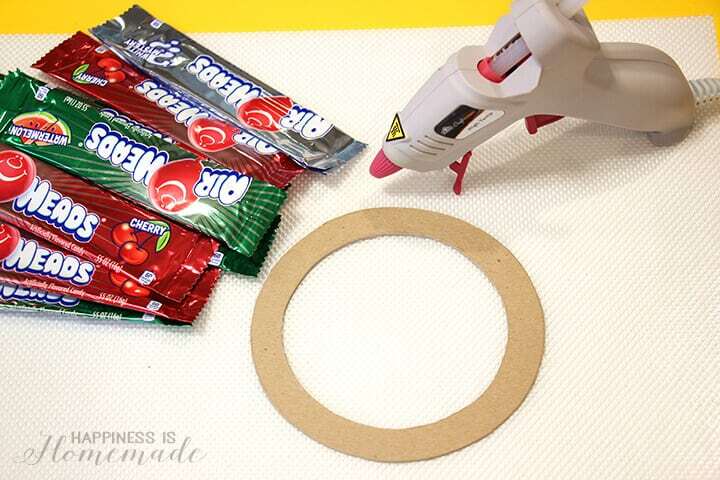 Glue one end of the candy to one side of the cardboard wreath, flip over, and repeat on the opposite side. 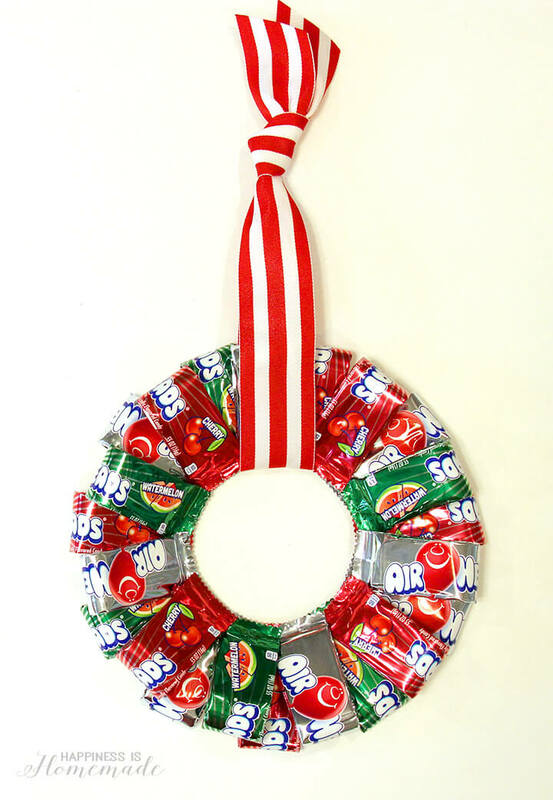 This is what the wreath will look like once you’ve attached a single ring of Airheads to the wreath form. I thought that the wreath looked adorable just like this, but I decided to add an extra layer of candy to give it a bit more dimension. I used the hot glue gun to create an additional layer of folded Airheads, and attached the new layer on top of the first one. 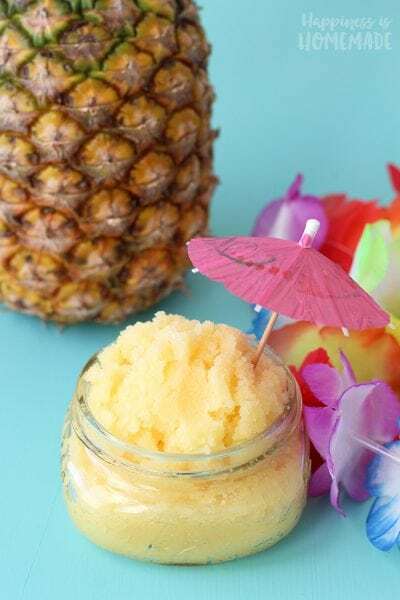 All of this crafting with candy might inspire you to take a little snack break. 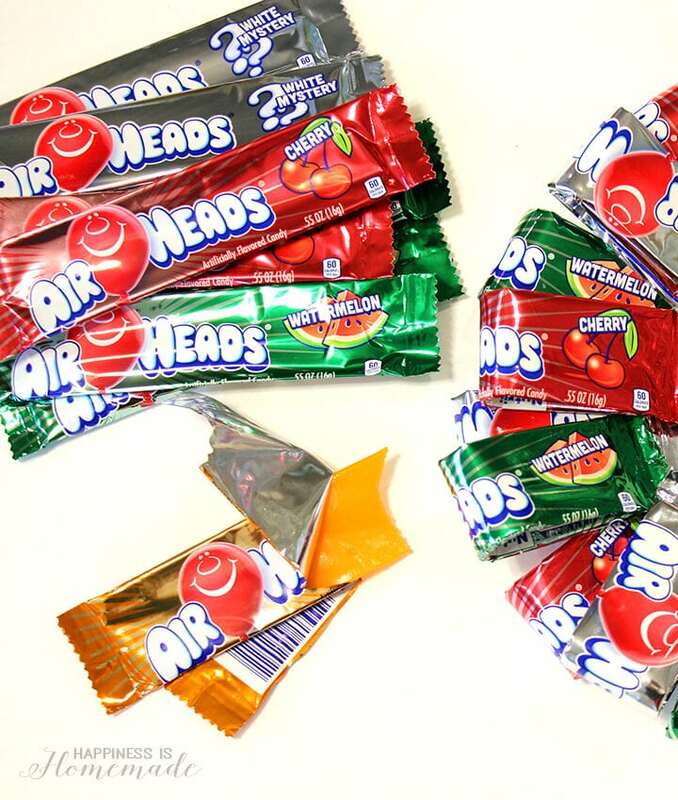 Don’t worry, that’s why we bought the BIG box of Airheads, right?! 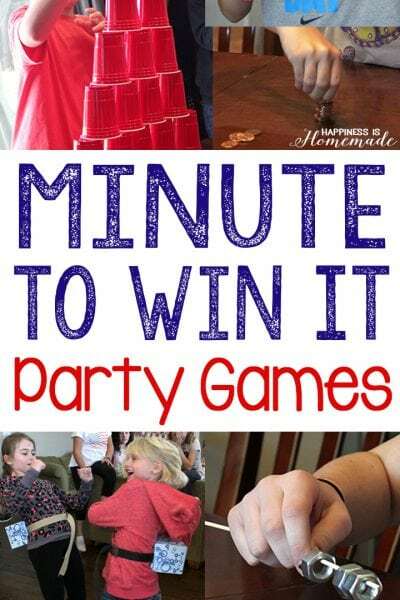 Add a length of ribbon for hanging, and the wreath is finished – easy peasy! 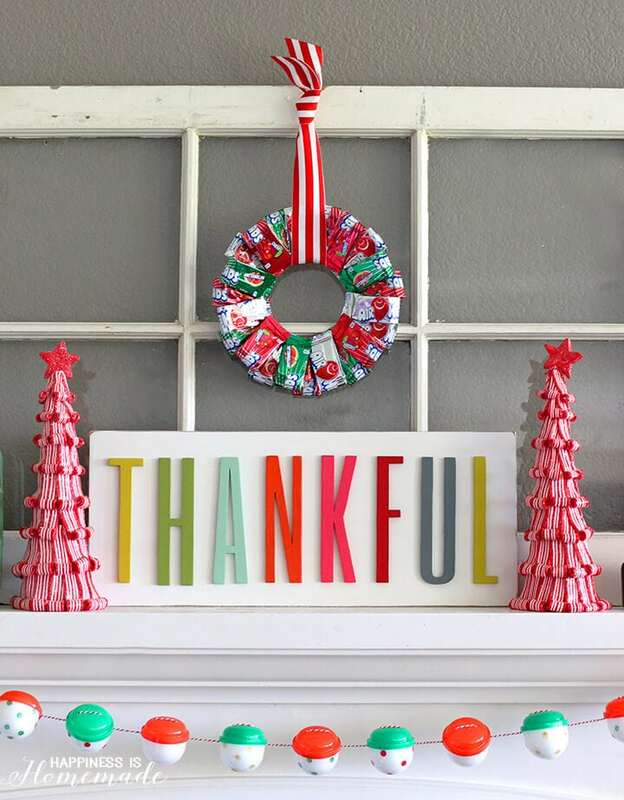 It looks so fun and festive as part of our candy themed Christmas mantel! 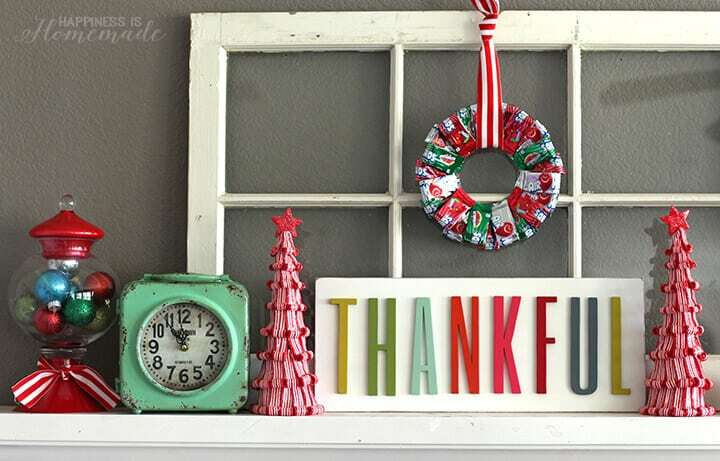 Technically, our mantel is currently having an is-it-Thanksgiving-or-is-it-Christmas? identity crisis, but I love it anyway! As soon as I unpack the rest of the Christmas decorations, it’s going to be ALL about the Christmas candy (including the felt candy ornaments and “gumball machine” that I made last year!). 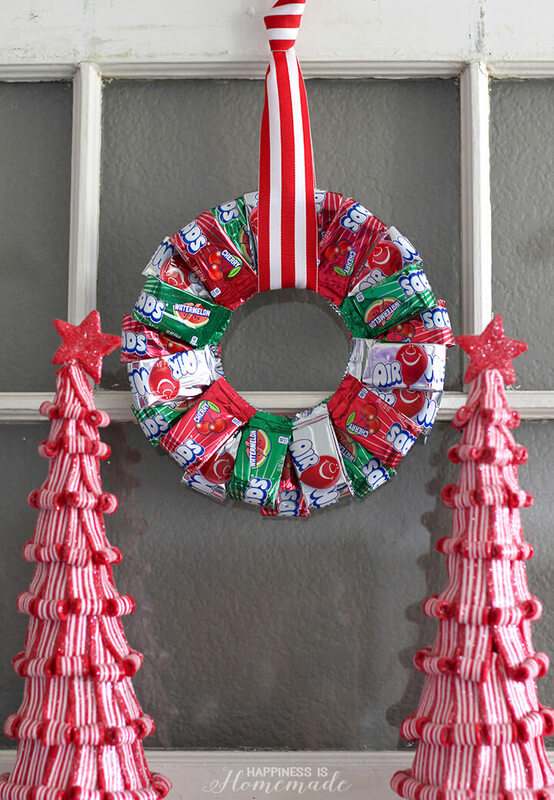 These guys want to make Airheads wreaths to give to all of their friends for the holidays now, and I think it’s a fantastic idea (make sure to use a low-temperature glue gun if your child will be handling it!)! 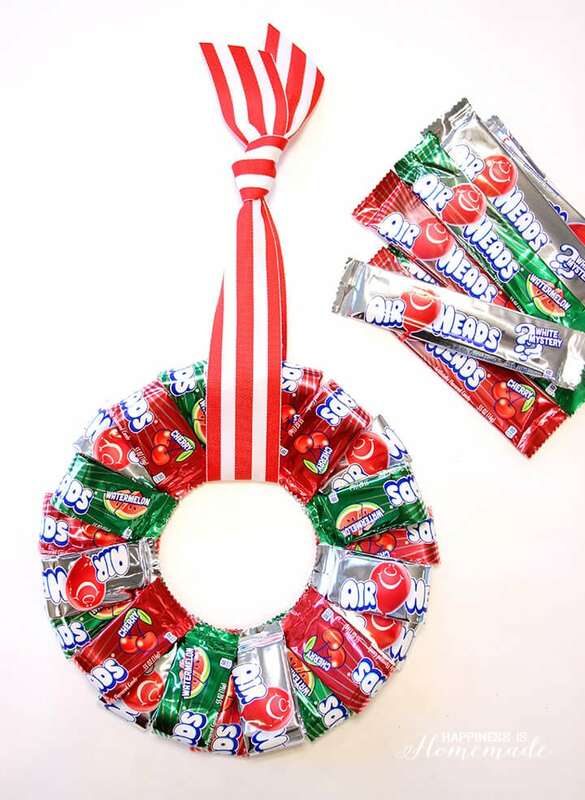 Airheads wreaths will make a sweet gift, and I know that their friends will enjoy unwrapping and eating the candy as much as these guys did! 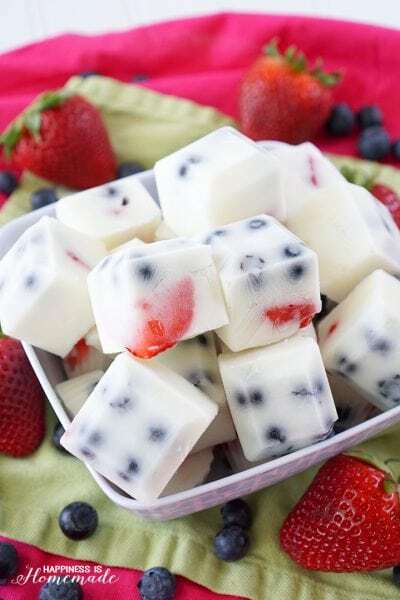 For more fun ideas on how to craft with Airheads, follow them on Pinterest. 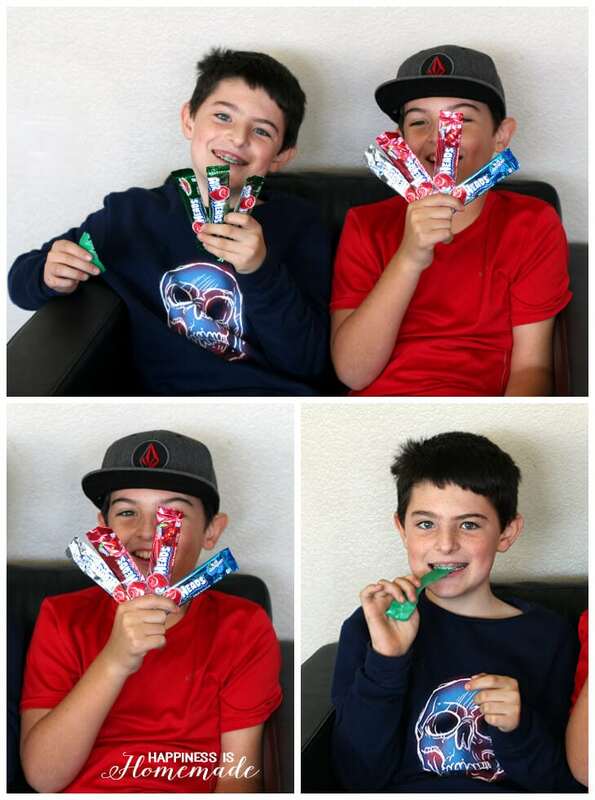 To learn more about Airheads candy visit their website and follow them on Facebook, Twitter, Instagram, and YouTube!